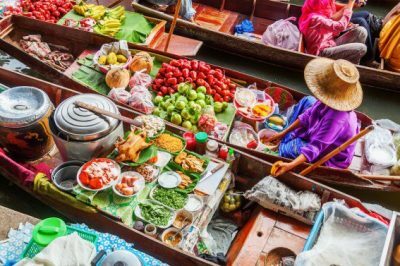 If it’s your first time to Southeast Asia, a Thailand tour coupled with a side trip to Cambodia makes for the perfect Southeast Asia itinerary. Both countries offer fascinating culture, diversity, rich history and some of the best beaches in the world. And the Thai and Cambodian people welcome traveling families with open arms. 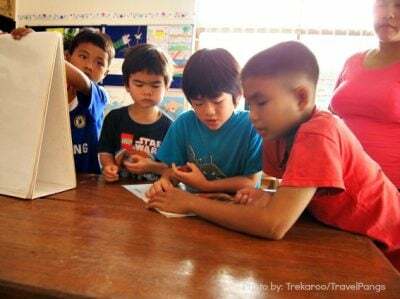 This tour begins in Bangkok, Thailand where families will explore the cultural highlights of the city. From there, a quick flight to Chiang Mai brings you to a full-day adventure with elephants and a zip-line tour of the jungle canopy that is sure to create lasting memories for parents and children alike. 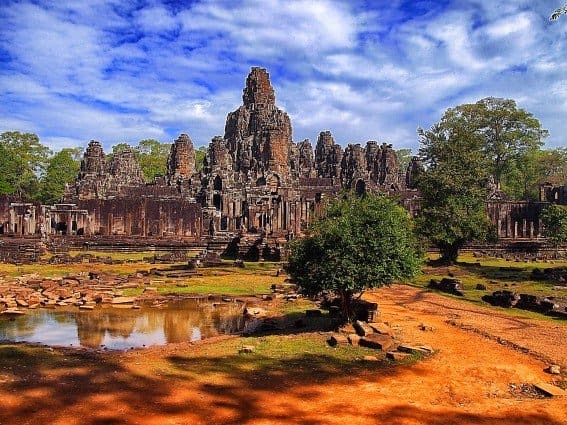 Continuing on to Siem Reap, Cambodia – home of the famous Angkor Wat archeological park – families will experience the best of Khmer culture at the Phare Ponleu Selpak Circus before touring the Angkor Wat temple complex and exploring the outskirts of town via quad bike. After three days in Siem Reap, wrap up your trip with a few days on the famous beaches of Koh Samui, Thailand. Kids can play in the mellow waves lapping at the shores of this welcoming island paradise with no pre-planned activities for the final four days of the tour. Trekaroo has negotiated exclusive perks for Southeast Asia trips with this partner. Available exclusively to families who book through Trekaroo. Fill in in the contact form on this page. Arrive on your flight in Bangkok where you will be met by your guide and transferred to your hotel. Start the day enjoying delicious Thai cuisine at a local restaurant. After lunch, you will visit the Grand Palace, which houses the famous Emerald Buddha as well as the throne and coronation halls. 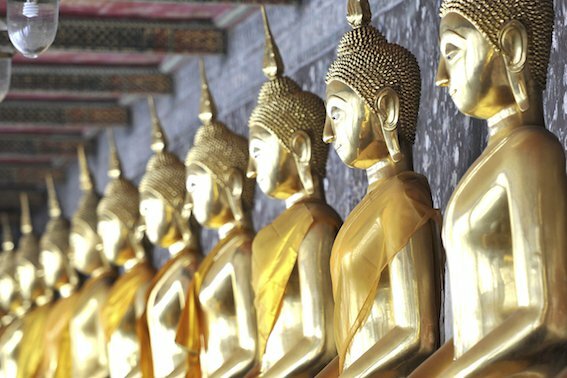 You will also visit Wat Pho to see the impressive Reclining Buddha. Afterwards, you will be then given a 30-minute traditional Thai massage at the Wat Pho Massage School, then head to the renowned flower market. This 32km trip is suitable for all levels of riders and is an excellent trip for families. Depart Bangkok and arrive in Chang Mai by air. Drive up to visit Doi Suthep, the most important Wat in Chiang Mai. After lunch, explore the fascinating industrial world that feeds the ever-growing city of Chiang Mai. 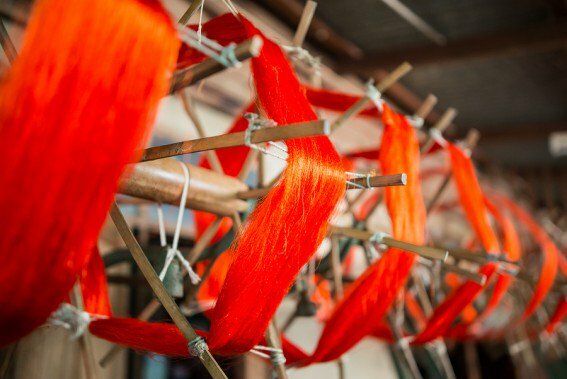 See how lacquer-ware, silk and traditional Thai umbrellas are made. 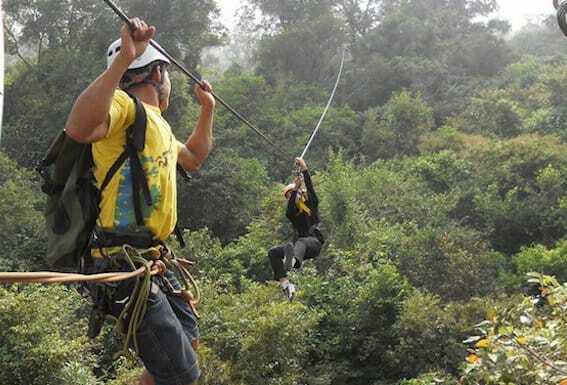 At Ban Mae Kampong we’ll enjoy the “Flight of the Gibbon” – a 3 hour, 2km air trek high up in the rainforest canopy using zip lines and sky-bridges taking in the glory and majesty of old growth, high altitude pristine rainforest. A traditional Thai lunch is served followed by a spectacular trek up beside the impressively Mae Kampong Falls. Depart from Chang Mai and arrive in Siem Reap. This evening we will enjoy a unique performance by the Cambodian Circus, also known as the hugely talented Phare Ponleu Selpak from VIP seats. The troup was founded by a group of young ex-refugees from Battambang Province. Explore the majestic Angkor Wat, a UNESCO world heritage site, during the cooler morning temperatures. Today you will explore this majestic temple in a unqiue and special way – joined by students from our non-profit’s community classes, your family and theirs will have a hosted scavenger hunt through the temple. While parents are looking at the details of the temples, kids can find fun in temple exploring by searching for hidden symbols and learn about the library vs. the pools of the temples. Sunday afternoons are special at JWOC. We hold our art class for local students at 2:30pm – a no-pressure class where children are invited to come, play games, sing songs and do a simple and rewarding art project. You will also have a chance to meet with our scholarship students and gain a greater understanding about the work we do within our community. This morning set off with your guide to Banteay Srei, the intricately carved temple located just 30km beyond Angkor Wat. 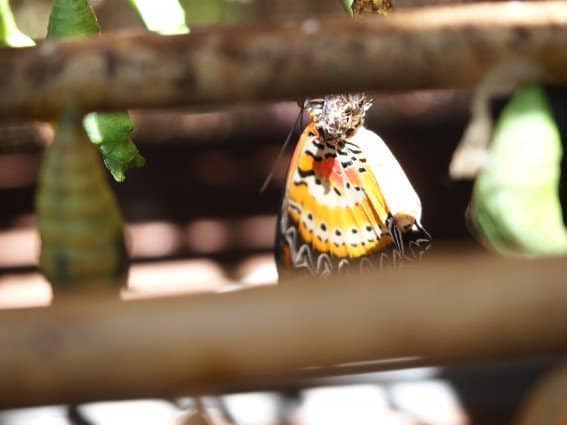 Stop at Banteay Srei Butterfly Center which opened its net quite recently, allowing visitors to interact with hundreds of free-flying native butterflies including some of the world’s largest butterflies. This includes the Atlas Moth with a wing-span of 26cm (11in) and the exotic Birdwing butterfly, which resembles more of a delicate bird than an insect. 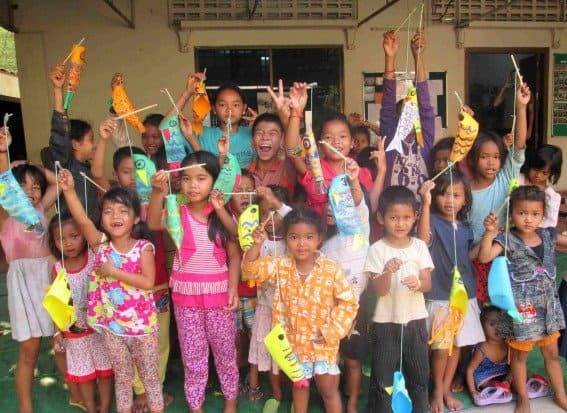 Interacting with more than 30 of Cambodia’s 400 species of butterflies, visitors will witness first-hand the complete lifecycle of the butterfly, from the tiny eggs to shocking caterpillars, mysterious pupae and finally the delicate adult butterfly. Enjoy lunch at the local restaurant. After lunch you will visit Banteay Kdei and Ta Prohm, two of the prettiest temples in the complex, before returning to your hotel late afternoon. This evening enjoy a group dinner by the Kralanh Petite pool with Andrea’s family and friends. This will be a special evening of fun and fellowship! Set out on the Journeys Within Village Tour with our guide who will take you to his village, showing you rice paddies and typical homes along the way. Once there enjoy a fresh coconut drink and meet his family and neighbors, and take some time to explore this beautiful area before returning to your hotel. You will be met at your hotel at 4:30pm and taken to the quad bike base. Enjoy strikingly beautiful views of the rice fields and villages as the clear blue sky turns yellow and gold. After enjoying the sunset return to the base and you will be transferred by tuk-tuk back to your hotel. 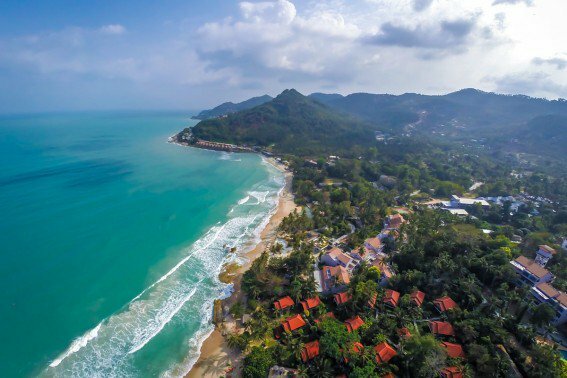 Depart Siem Reap for the island oasis of Koh Samui where your family will kick back and enjoy the relaxed island culture and the freshes seafood. After seeing so many wonderful sights, kick back for a few days this wonderful a beach front resort. This boutique resort offers is located on a beach with beautiful, soft sand. You can walk along the beach to the busier part of town if you want access to more restaurant and activity options. A few free and easy days will be a glorious end to your trip, so take it easy or if you wish add in tours on a whim at the beach if you wish. We’ll have one last delicious breakfast together and transfer you to the airport to catch you flight home. Andrea Ross, the founder of Journeys Within, a Wild Frontiers company, lived in Siem Reap, Cambodia for 10 years. 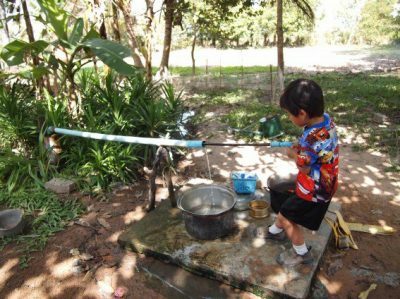 She lived with her two young children in Siem Reap and traveled through Southeast Asia. She developed a team of local staff in Cambodia, Thailand, Vietnam, Laos, and Myanmar. Together they sourced the best guides and developed rich immersive experiences that delight families. 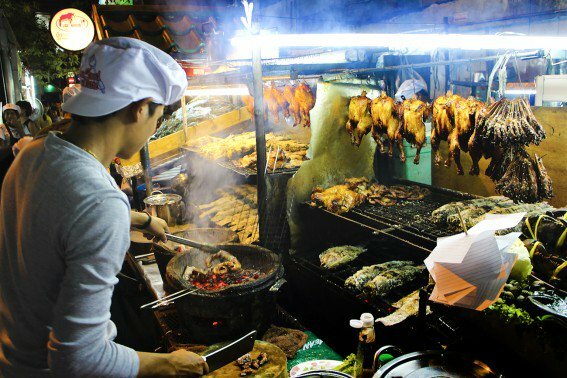 If you are looking for a Southeast Asia travel expert who will take excellent care of your logistics, introduce you to the warm hospitality of locals, and create unforgettable experiences for your family, look no further. Five years ago, Brennan and I (LiLing) visited Cambodia with our then 8, 5 and 3-month old kids. We’d always wanted to visit the ancient temples of Angkor Wat, but we weren’t sure we how to manage a family-friendly trip to Cambodia with young kids. Fortunately, we met Andrea Ross and her family, an American family living in Cambodia. 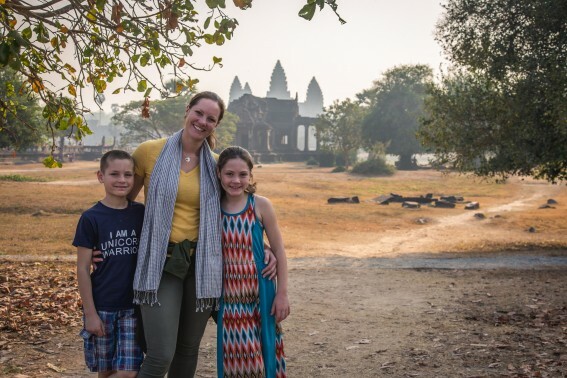 Andrea and her children have explored every nook and cranny of Southeast Asia. They curated the most wonderful itinerary for our family. Her team at Journeys Within knew exactly what we needed as a family. Not only did we see the most exquisite sites, they also handcrafted unique experiences that allowed us to connect as a family with locals. 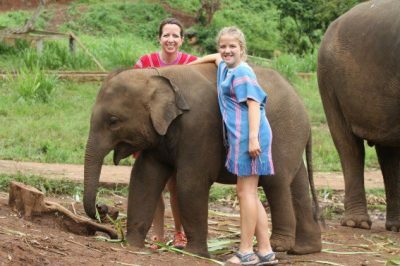 I don’t think our kids will ever forget pounding rice with locals in a village near Siem Reap, or riding on elephants at Angkor Archeological Park.